From now on you can book a room in our guest house directly on our website by using your credit/debit Visa or MasterCard. You can also book a room via phone: 069136487. Bookings made are legally binding contract between You (or Legal entity representing you) and Us (Et Cetera Wine SRL) and it comes into effect when we accept and confirm reservation from you and after receiving full payment deposit of the total price quoted. Bookings must be paid for using an acceptable and valid credit/debit card or net banking. 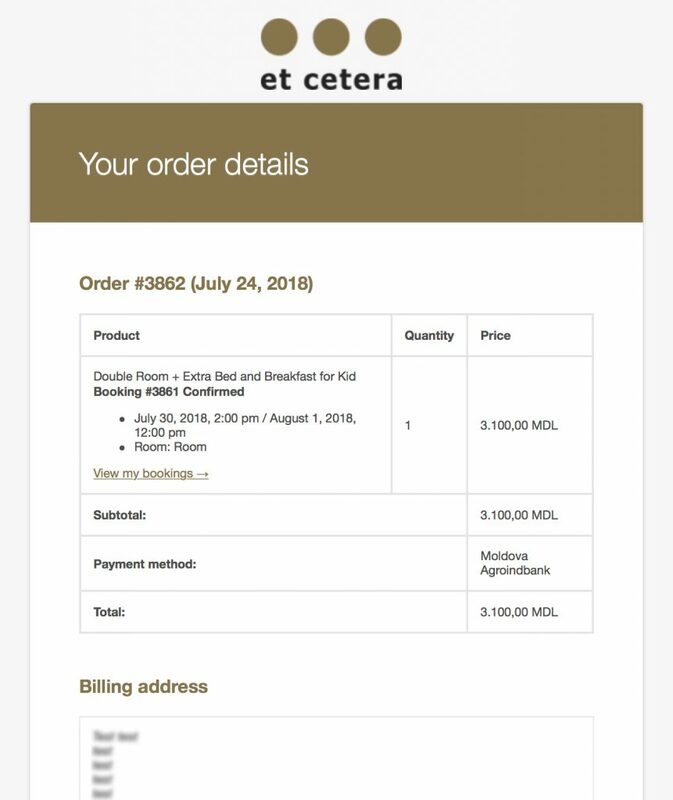 When a Booking is confirmed, a reservation number is given and sent to your email. This number must be retained for access to the Booking details if cancellation or amendment is necessary. In the rare unforeseen circumstances if we cannot deliver your requested accommodation – You will be offered alternate accommodation or a full refund. Early check-In or Late-Check out is subjected to room availability on the relevant day, to be reconfirmed with the staff. If you cancel your reservation 7 days before your arrival and have paid for the room/rooms in advance by debit/credit card, a full refund will be processed to the same debit/credit card. If you cancel your reservation less than 7 days before your arrival you will be charged a cancellation charge equivalent to one night’s accommodation per booked room. In an event of a guest No Show, your full reservation fee will be charged. We reserve the right to cancel your reservation due to any technical issues occurred, a full refund will be processed to the same debit/credit card.